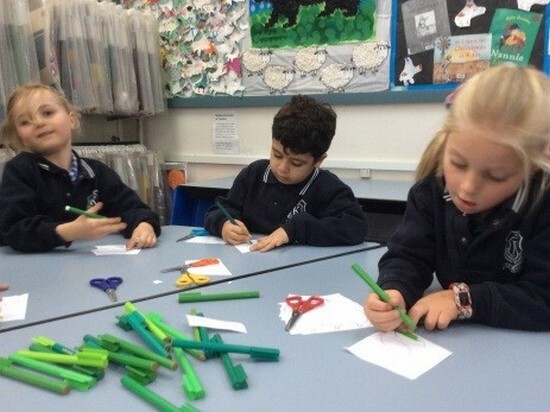 If you’ve got a few minutes spare at school pick-up time, pop into the library to see the Prep work on display. 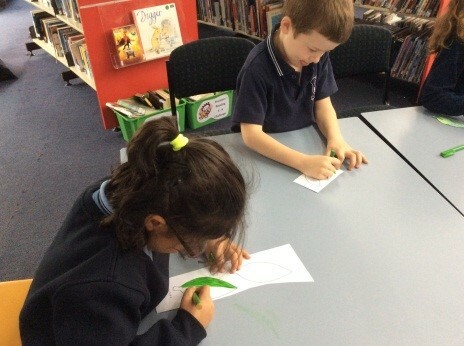 Each week in Library lessons we read a picture story book together. 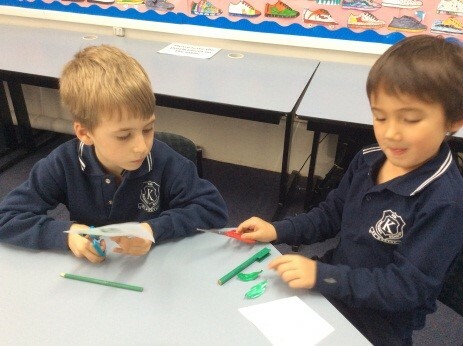 Sometimes we follow up with an activity. 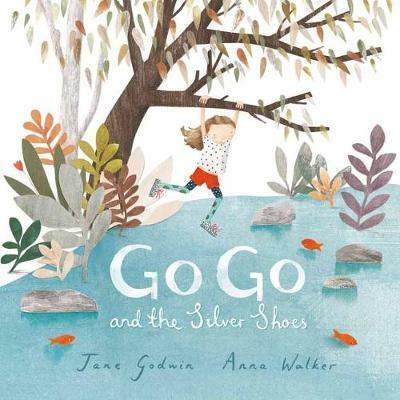 In Term 1 we read the beautiful Go Go and the Silver Shoes by Jane Godwin and Anna Walker. 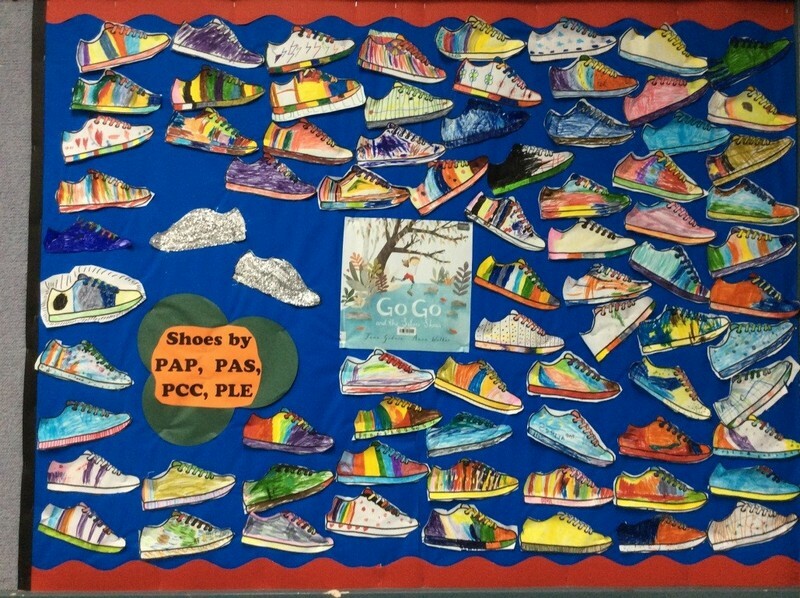 Each student then created their own special shoe. 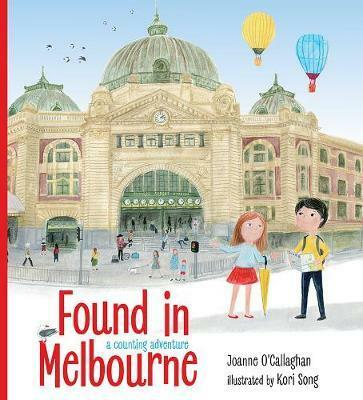 Last week we shared Found in Melbourne by Joanne O’Callaghan which explores familiar Melbourne landmarks like Luna Park, the MCG and the penguins on Phillip Island and each student drew a place in Melbourne they have visited for a class photo album. 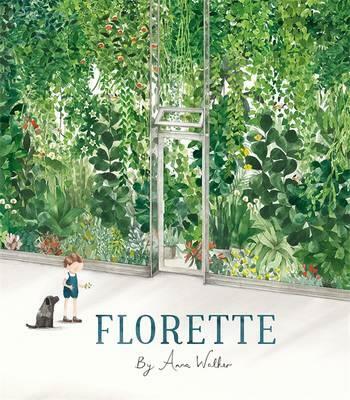 This week we read a book from the Children’s Book Council of Australia (CBCA) shortlist – Florette by Anna Walker and the students created artwork for a new display in the Library. 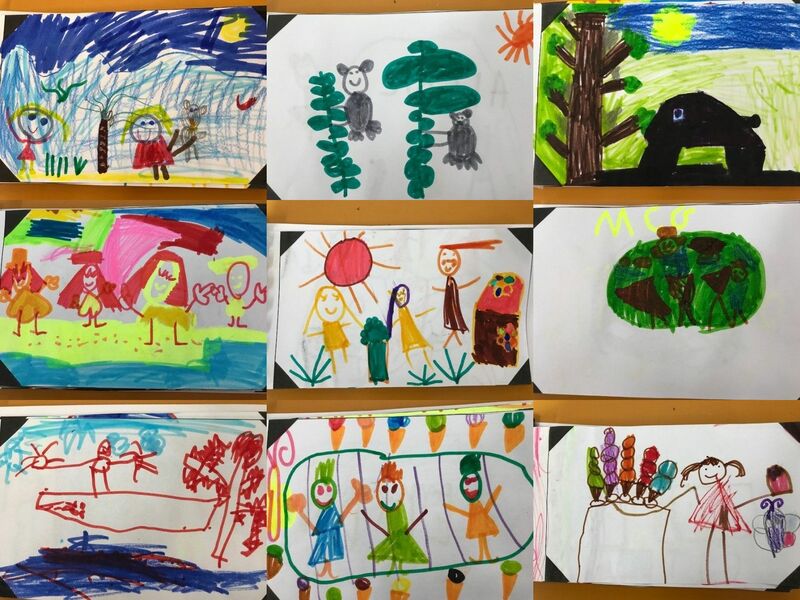 This entry was posted in Learning, Students and tagged art, books, library, Prep, students by Kate W. Bookmark the permalink.